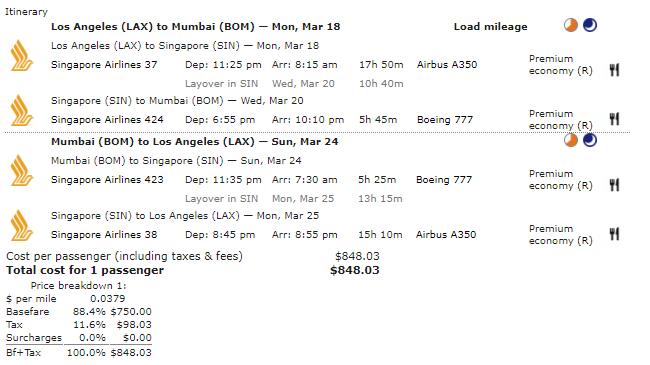 Today’s Airfare of the Day goes to Singapore Airlines and their instant purchase non-refundable premium economy round trip fares between Los Angeles and Mumbai. Fare: Singapore Airlines (SQ) RT5USR03 LAX to BOM. 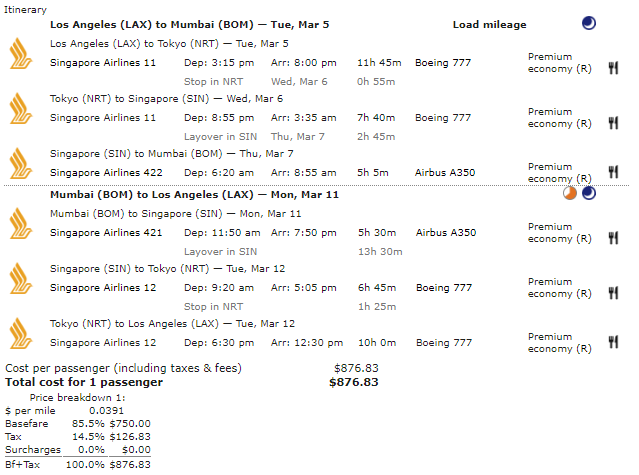 Price: from $849 ($750 base fare + taxes & surcharges). Seasonal restrictions: permitted 01MAR 19 through 31MAR 19 on the first international sector. Flight restrictions: Transpacific sectors must be on SQ flights 035 through 036. Stopovers: 3 stopovers permitted in each direction at $50.00 each. Sales restrictions: tickets must be issued on/before 10FEB 19. Changes: charge $100 for reissue/revalidation. 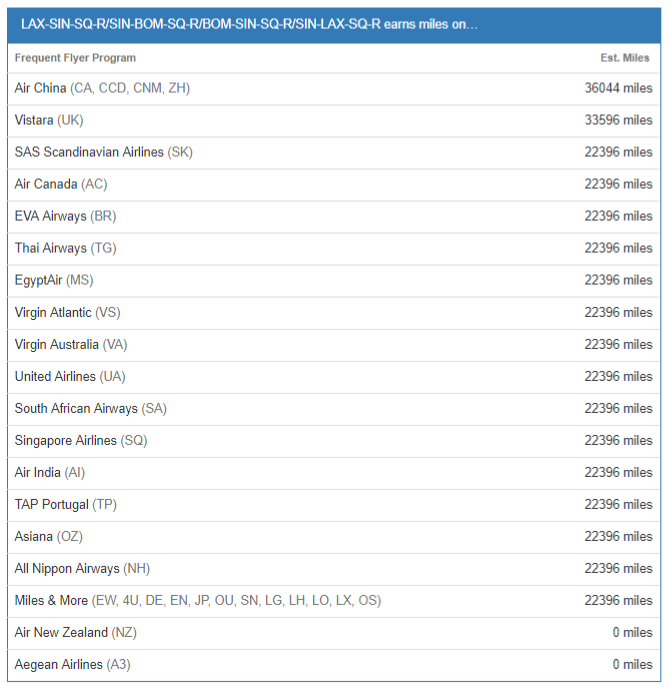 The following accruals were estimated using wheretocredit calculator for LAX-SIN-BOM round trip travel on SQ marketed and operated flights without considering any elite status bonuses or ongoing promotions.